TheSaaSGuy: Jijesh Devan: What is Over-The-Top (OTT) ? What is your favorite OTT? What is Over-The-Top (OTT) ? What is your favorite OTT? If you are even remotely associated with the TV/cable industry you know that OTT (Over-The-Top) is a four letter word that cable execs. would rather beep out than hear! At the recent Cable Show in Chicago cable executives claimed that cord-cutting is not due to OTT providers like Netflix. 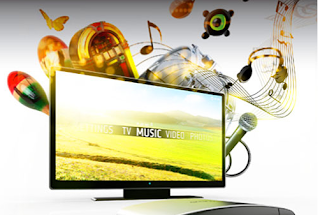 But the same executives recognized the growing consumer demand for OTT VOD services and noted that cable industry should adopt OTT delivery model to serve the growing market demand. So back to my question, what is OTT? Over-The-Top services are services delivered to consumers over the Internet. Usual services delivered over the internet include TV programs, movies, telephone, and radio. Example of a company providing OTT telephone service is Skype, a company that provides OTT TV programming is Netflix. Recently innovative Multi Service Operators (MSOs) have also strated providing OTT TV programming by leveraging Managed Multi-screen Service Providers like QuickPlay Media. What OTT services do you use today and what is your favorite service? If you don't use any, why not? Let me know. Easy weekend reading, submissions from Apple, Google and Netflix to the recent CRTC hearing on OTT.